Glosta Engineering is located in Radcliffe which is 10 minutes away from Junction 17 off the M60 motorway (Manchester). We have and continue to provide transport services nationwide for all our customers. 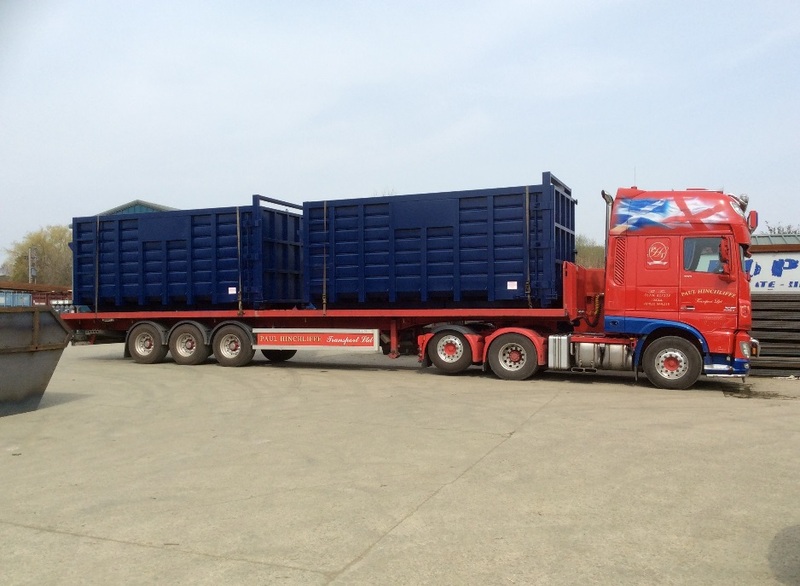 We pride ourselves that we are able to provide an excellent transport service by using Paul Hinchliffe Transport Ltd for our haulage services. Paul is an experienced HGV driver and has over 30 year’s experience in all aspects of truck driving. He is a credit to Glosta Engineering as he is a reliable, responsible and friendly driver. 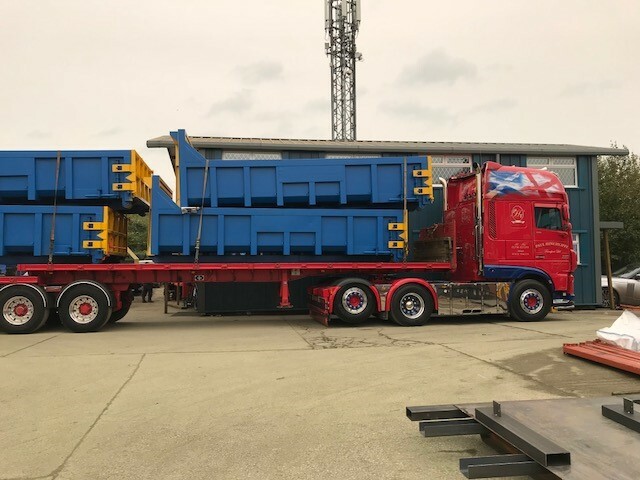 Paul has a vast and varied knowledge of the skip industry and can assist customers to arrange the most cost effective way to transport products by suggesting different load combinations. Due to Paul’s experience and occupational history, he is able to offer guidance and advice for safe unloading of your purchases. 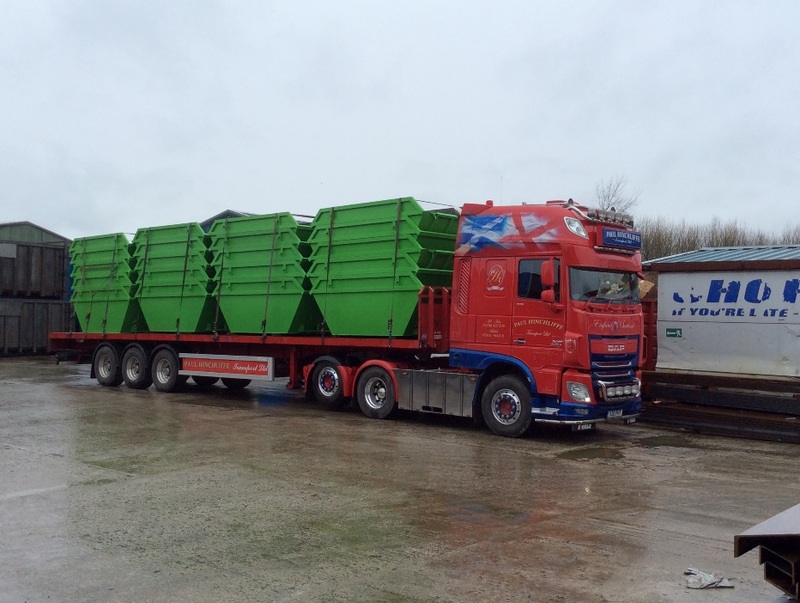 We use 13.6 flatbed lorries to make sure we can fit as much on as we possibly can. 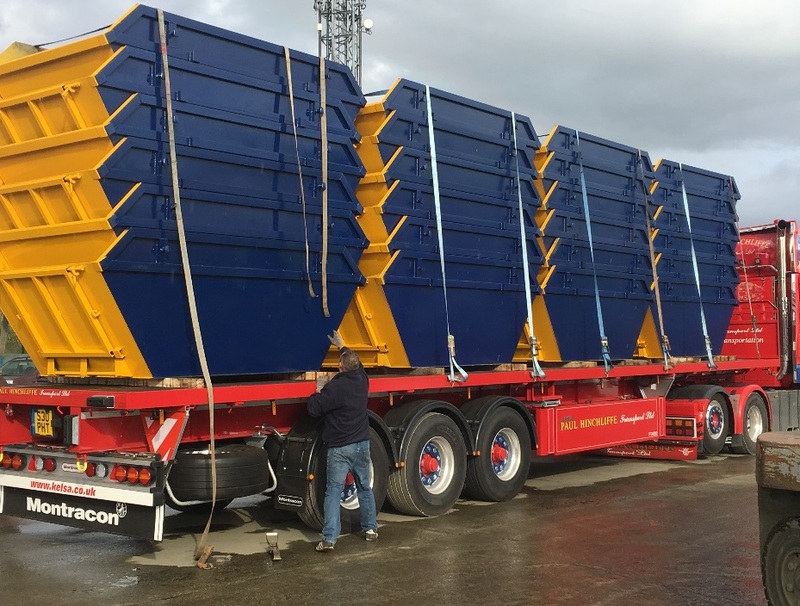 All our products can be off loaded by yourselves via a chain lift skip, hook lift wagon or forklift trucks. 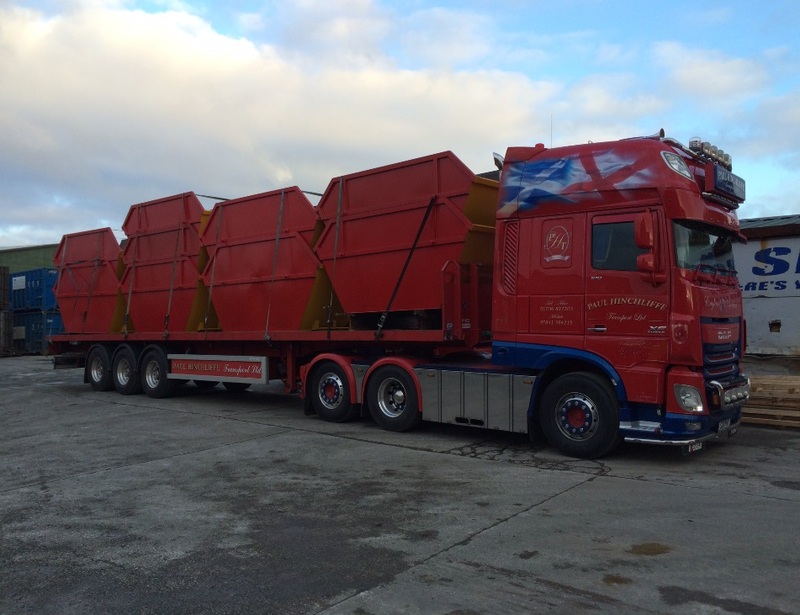 Paul drives a 2015 Daf XF106 Articulated lorry and trailer. 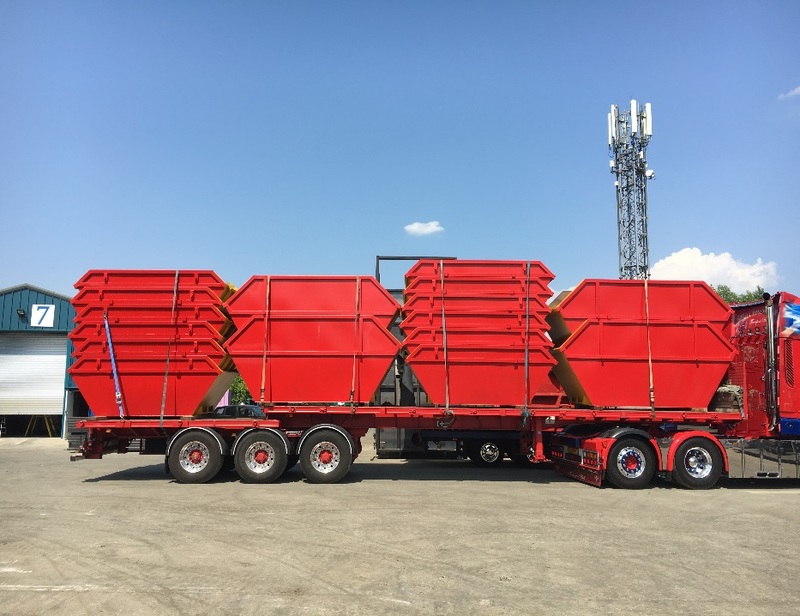 Outside of his working routine, Paul Hinchcliffe attends truck festivals in the UK and abroad and has won a number of trophies in the categories of best owner operator; best custom truck, best interior and Truck of the Show. Paul is rightly, very proud of this vehicle. 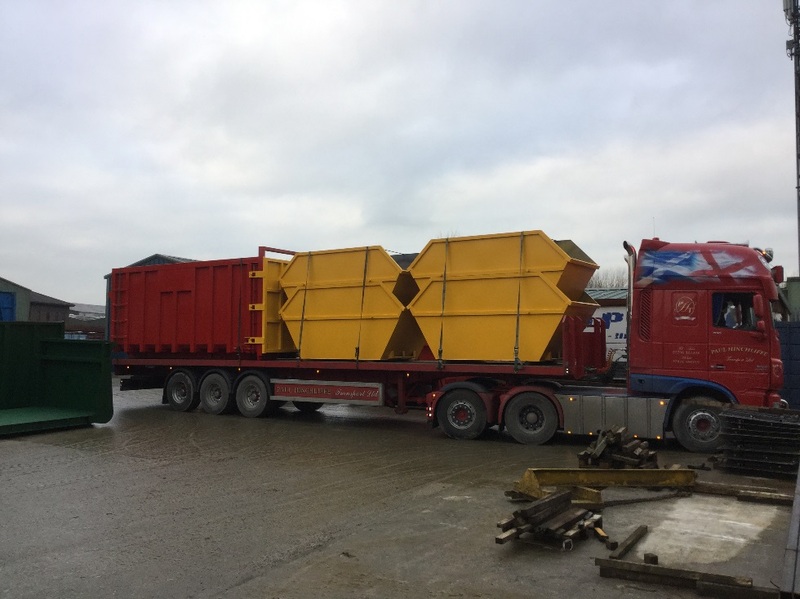 We can deliver skips and containers directly to your premises or to another site of your choice. 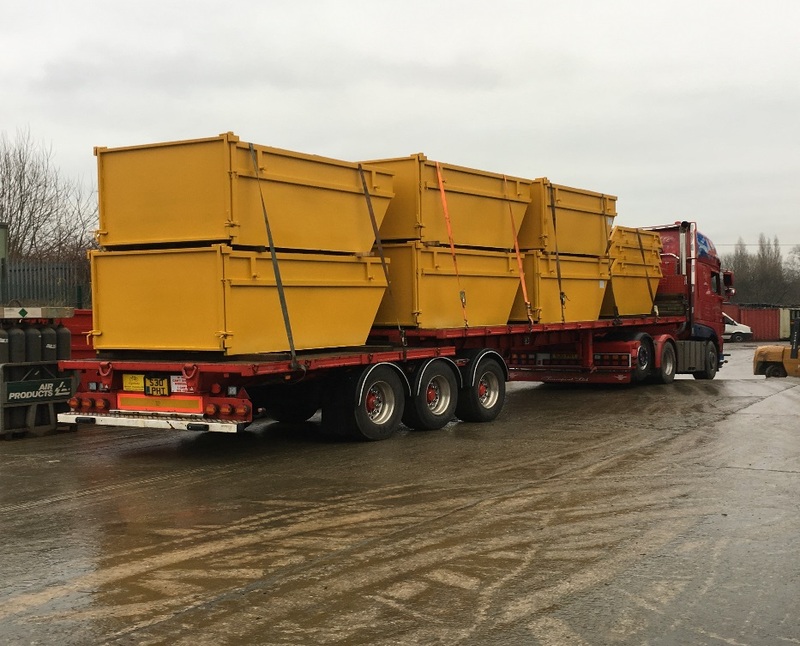 We attempt to keep transport costs as low as possible by producing standard specifications, which enables the skips to fit inside each other (stackable) and working effectively with load combinations. Please enquire directly for the price of delivery when you send over an order or query about our products.